Actualizado el 12 de febrero, 2019 - 16.11hs. 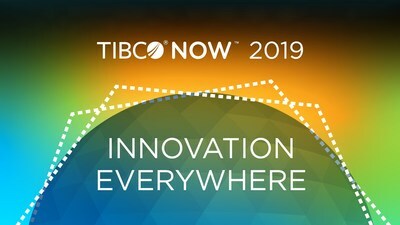 PALO ALTO, Calif., Feb. 12, 2019 /PRNewswire/ -- TIBCO Software Inc., a global leader in integration, API management, and analytics, announces the TIBCO NOW® Global Tour 2019, a multi-city conference making stops in Singapore, Chicago, and London. The 2019 tour begins in Singapore at Marina Bay Sands on April 3-4, moving to the Marriott Marquis Chicago on June 12-13, before making its final stop in London at the Hilton London Metropole on September 25-26. Expanding on previous TIBCO NOW conferences, this year's multi-city conference reinforces TIBCO's commitment to global innovation, a tenet reiterated by the conference's theme, "Innovation Everywhere." Bringing together leading customers and TIBCO executives, the TIBCO NOW Global Tour 2019 provides the tools and education to help companies leverage emerging technologies and data to develop, measure, and scale new services. "Businesses across all industries are focused on driving innovation from everything that's at hand, not only from their current technologies, people, and data, but also through new technologies, such as AI and blockchain," said Thomas Been, chief marketing officer, TIBCO. "Innovation comes from the entire organization and beyond, through the ecosystem. So, what are the patterns that distinguish true innovators? At this year's TIBCO NOW Global Tour, our goal is to educate attendees on how to navigate the digital transformation landscape and achieve leadership through innovation." Networking sessions with TIBCO's global partner ecosystem. The event will also include the presentation of the sixth annual TIBCO® Trailblazer Awards, honoring customers who have strategically implemented TIBCO technology in pioneering ways. Registration for TIBCO NOW is open. To learn more or register, visit now.tibco.com. Follow us @TIBCO on Twitter, and on our Facebook, Instagram, and LinkedIn pages to hear the latest news and updates from our team. TIBCO, TIBCO NOW, and the TIBCO logo are trademarks or registered trademarks of TIBCO Software Inc. and/or its subsidiaries in the United States and/or other countries. All other product and company names and marks mentioned in this document are the property of their respective owners and are mentioned for identification.